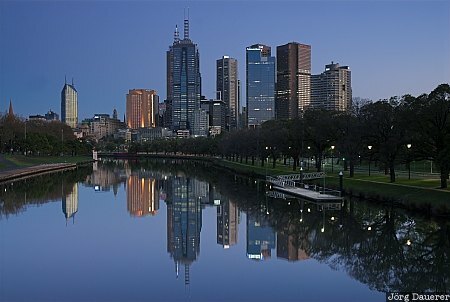 The skyline of Melbourne and its reflexion in the Yarra River before sunrise in Melbourne, Victoria, Australia. This photo was taken in the early morning of a sunny day in April of 2007. This photo was the image of the month in July of 2018. This photo was taken with a digital camera.